Along with my affordable beanie, this sweater is quite the steal too at under $30. 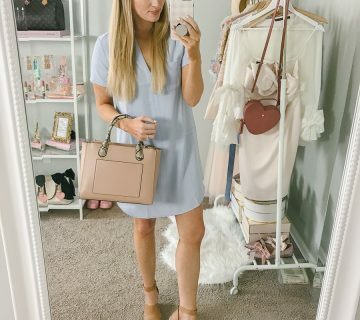 I’ve started to see more cut out shoulders around, so I think if it’s not as big this season it will be even more popular next year. 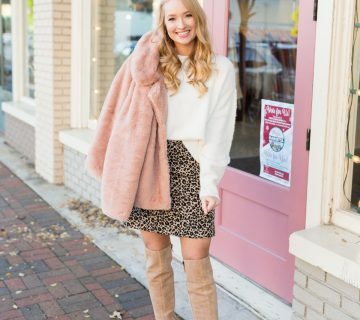 I also styled another cute Target sweater in this post. Tim and I have our hopes up to finally get set up with internet tomorrow. It’s been a long 3 to 4 months (and a lot of data) without it! I know it’s a first world problem to have, but we’re both looking at it as our best Christmas gift after being told multiple times that so and so still needs to do this and that (we’re in a new construction). Okay this beanie is just too cute!! I've never thought to grab a neon beanie, but now I totally have yours on my wishlist! 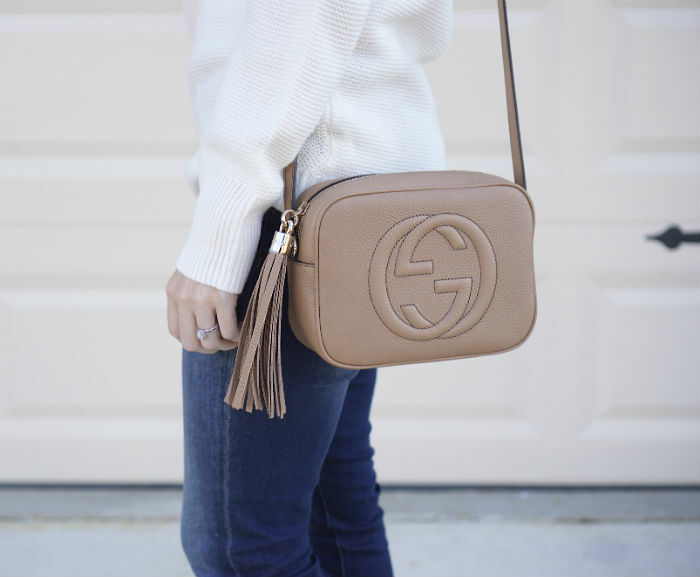 It's so cute and adds so much to a neutral outfit. I know I'd be reaching for it like crazy – especially on my "unwashed hair" days hehe! Love this beanie! I'm stocking up for Fashion Week — can't beat this price! Omg! Don't think you could look any cuter! 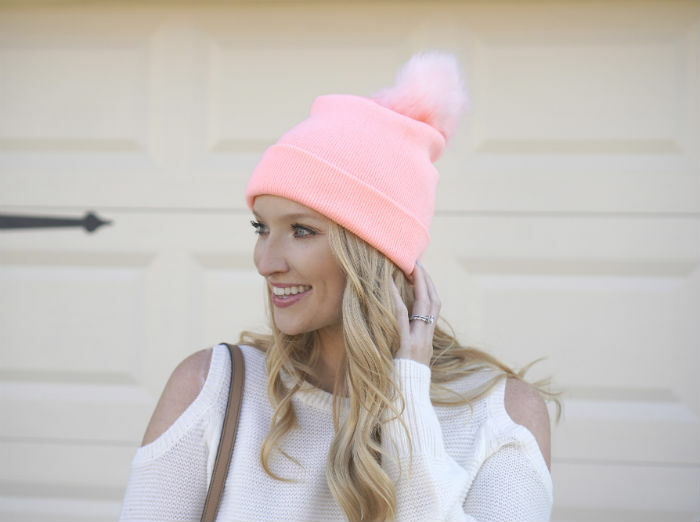 Obsessed with that neon beanie, forever 21 has some super cute affordable goodies! Killin it with your adorable look! This beanies is so adorable!! All of mine are neutral colors, but you're making me want a bright one! That beanie is so cute, I love the pom pom! You are too cute in that hat! I hope you had a great holiday!